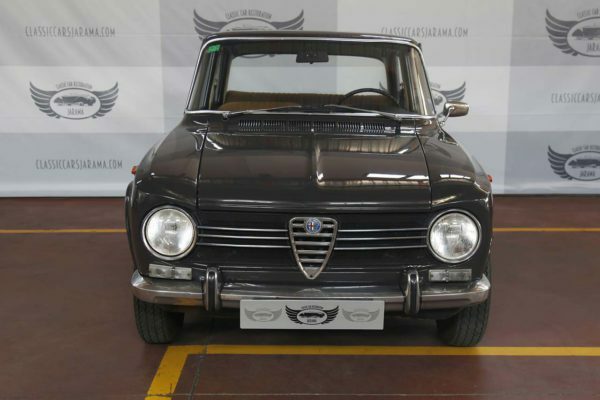 Alessandro De Tomaso was born into a leading family of Italian origin in Argentina, but had to emigrate to Italy in the 50s, having plotted against Juan Perón´s government. After an unsuccessful period between 1953-59 as an F1 driver, De Tomaso deployed his competition experience and his (rich!) 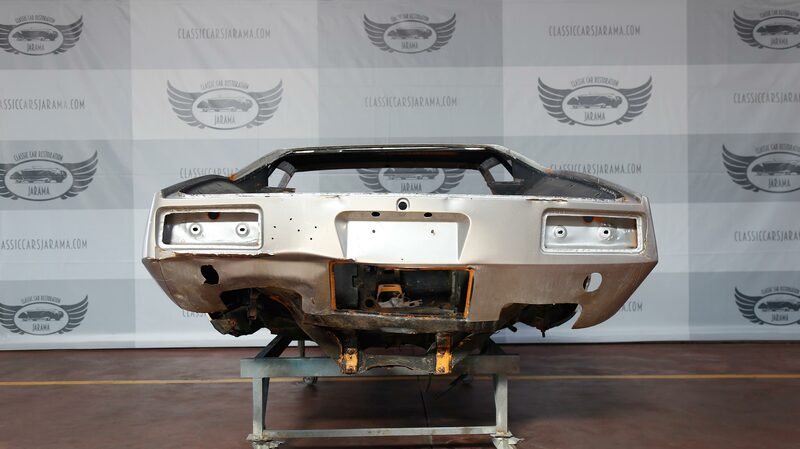 American wife´s money to found his own automotive marque, De Tomaso Automobili SpA. 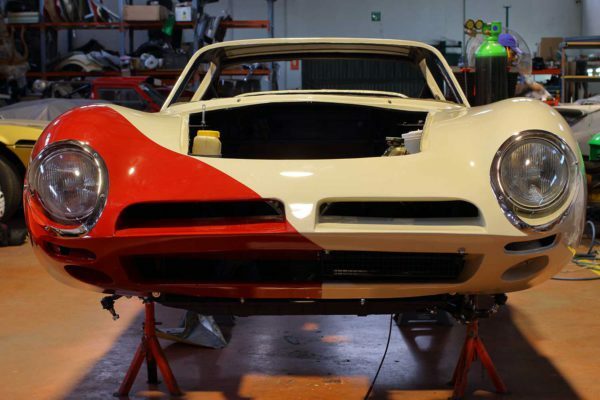 From the early 60s, De Tomaso produced sports and race cars, such as the beautiful Vallelunga, by hand in tiny numbers. The marque even went into F1 in 1970, this also being the first venture in F1 for Frank Williams. 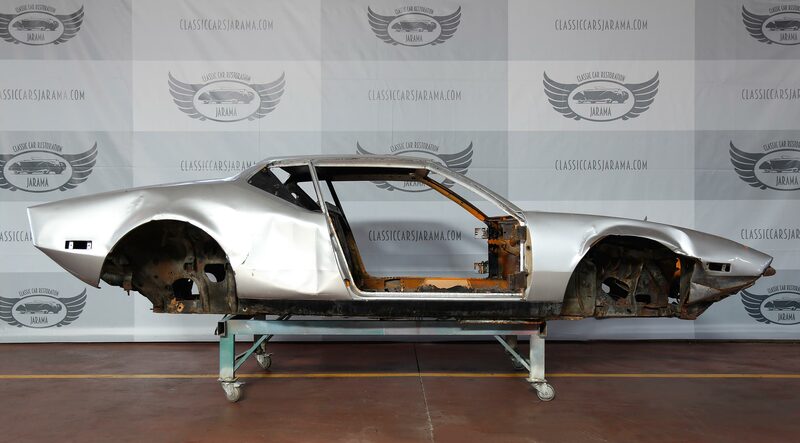 During this golden age, De Tomaso produced the unforgettable Mangusta, and then the Pantera. 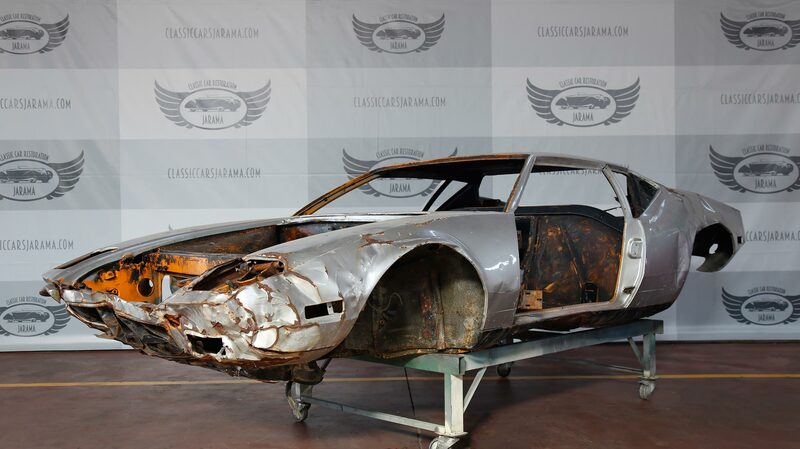 The Pantera (1971) is the best-selling De Tomaso by far. 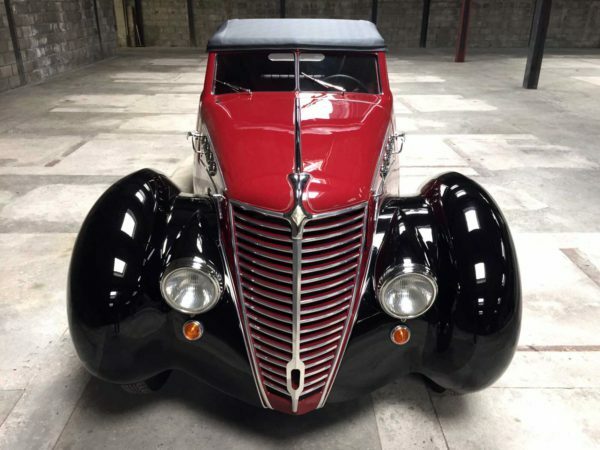 A perfect example of the Euro-American “Hybrid”, 7.000 Panteras were built. 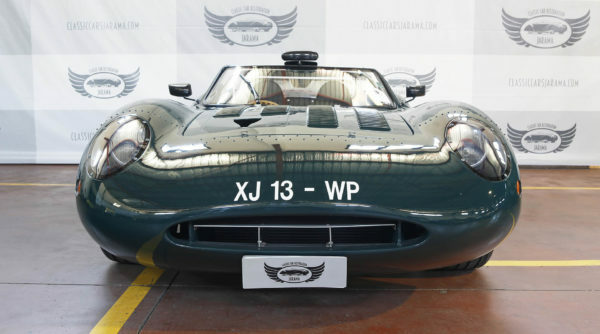 The chassis was a sophisticated Italian monocoque, the mid-mounted engine a huge and powerful American Ford Windsor 351 (5.7 litres and 330 bhp), clothed by the legendary Tom Tjaarda (of Ghia). The gearbox was a ZF unit placed behind the motor, racing style for ultimate weight distribution. 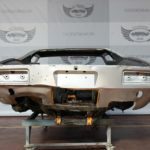 The car received a huge amount of attention, leading to an ill-judged decision by Ford USA to buy shares in De Tomaso and distribute the Pantera through its Lincoln-Mercury dealership network – Elvis famously shot hi when it wouldn´t start…again! 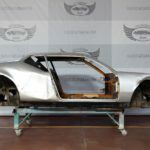 Ford abandoned the project, the petrol crisis of 1973-4 hit, and de Tomaso found himself with 2 factories in Modena (Italy) but without the means or the market to return production to the numbers or quality of the golden years. 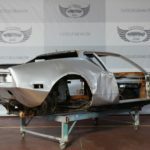 De Tomaso´s managerial style didn´t help either, but Panteras continued to trickle out of the factory in tiny numbers until 1990. 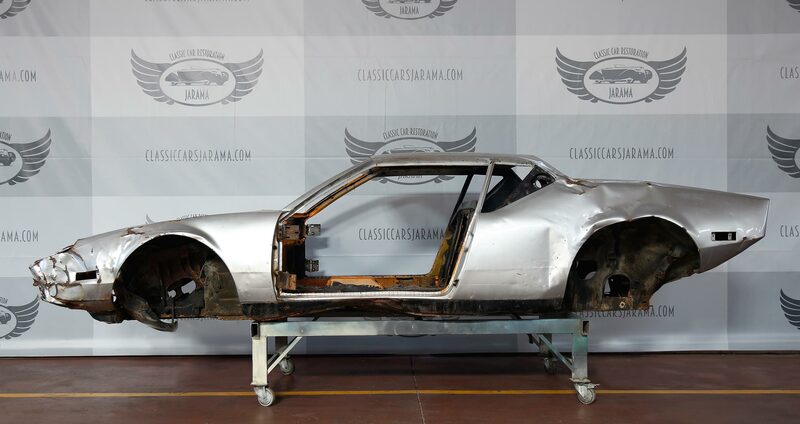 De Tomaso was a deal-maker rather than a manager and ended up as the proprietor of prestigious Italian brands such as Maserati, Innocenti, Moto Guzzi, Ghia and Vignale, making the Argentinean a big player in the Italian motor industry. No marque actually prospered during his ownership. 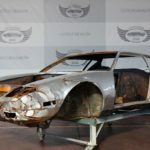 However, De Tomaso is remembered more favourably for the passion behind the Mangusta and Pantera, which now has a particularly strong presence in historic motor sport. 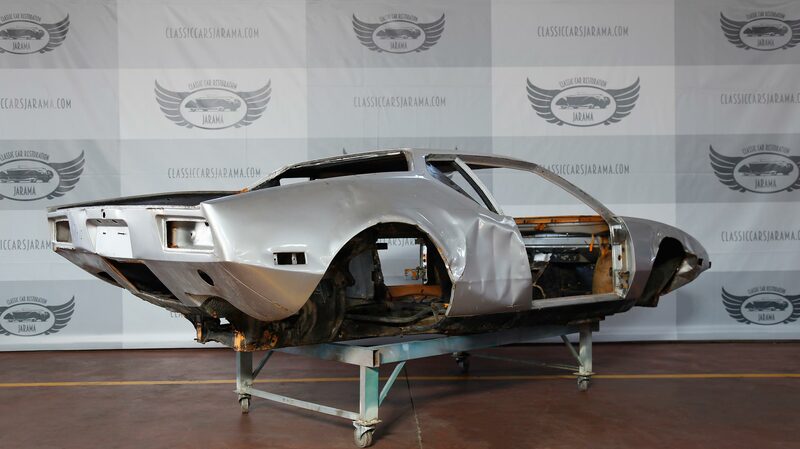 This first series De Tomaso Pantera was originally sold in Madrid in the early 70s. 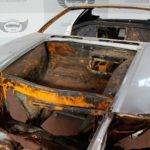 At some later point, however, the car had a big accident, damaging each corner and leaving it as we found it recently and as seen in the photos! 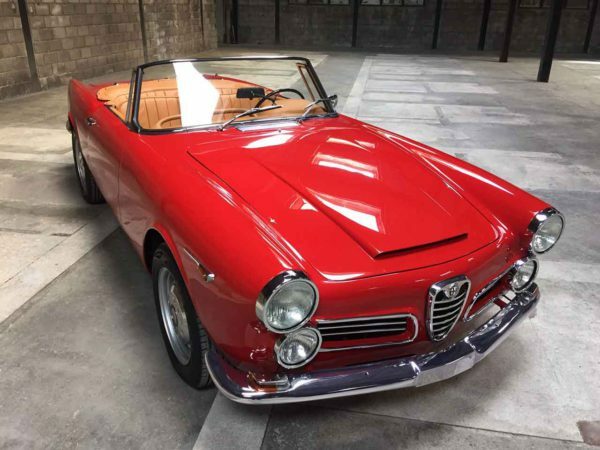 The current owner has decided to give the car the total restoration which its historical importance and scarcity deserve. 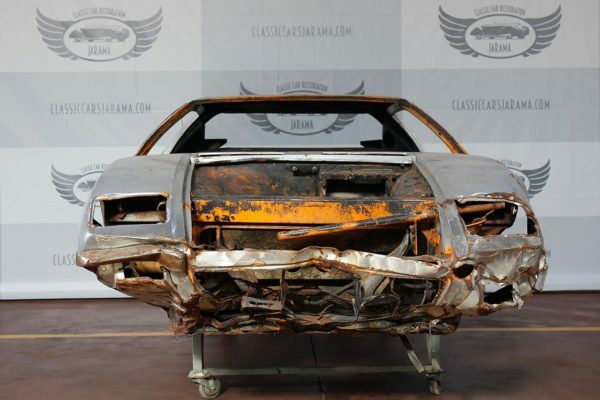 At Classic Car Restoration Jarama we enjoy a challenge to our craftsmanship, technological and engineering skills. 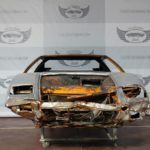 We´ve been involved in bringing other difficult cases back to life, so we are confident that we will get this Pantera back on the road after so many years! 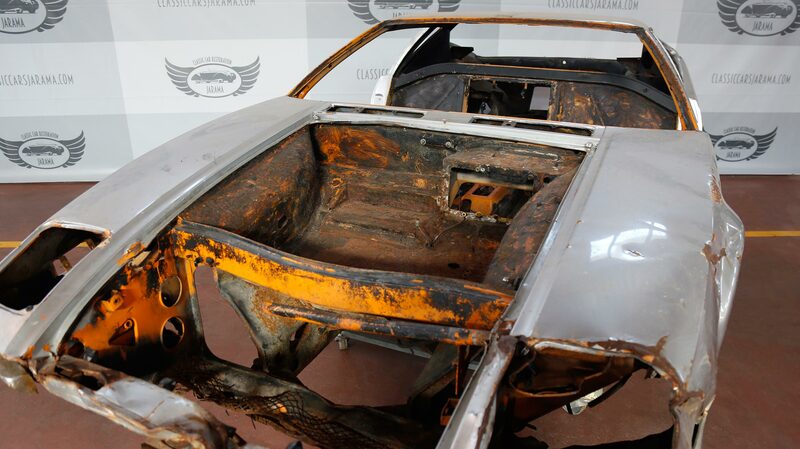 We have started the process by completely dismantling the car, stripped back to a bare shell, which will be repaired with old time skills and modern digital imaging and modeling. 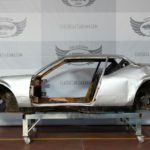 Once the chassis and bodywork is completed, we´ll move on to the mechanical and trim work which make the Pantera so special. 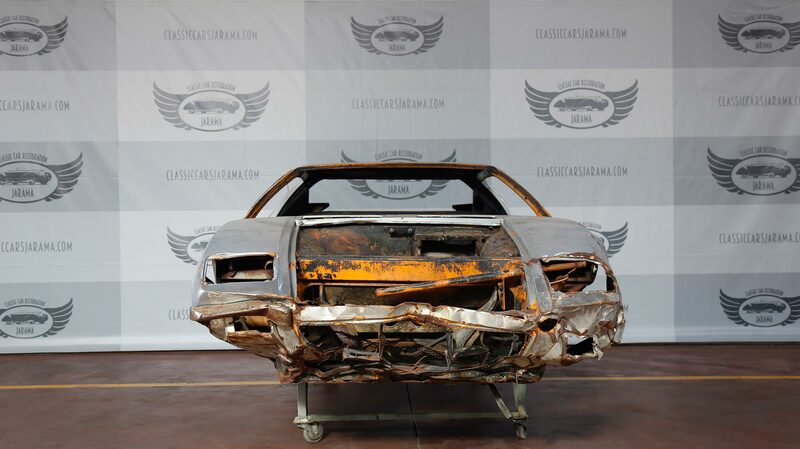 This example will be a road car but the Pantera now has particular following with historic racers! We´ll keep you updated on our progress.